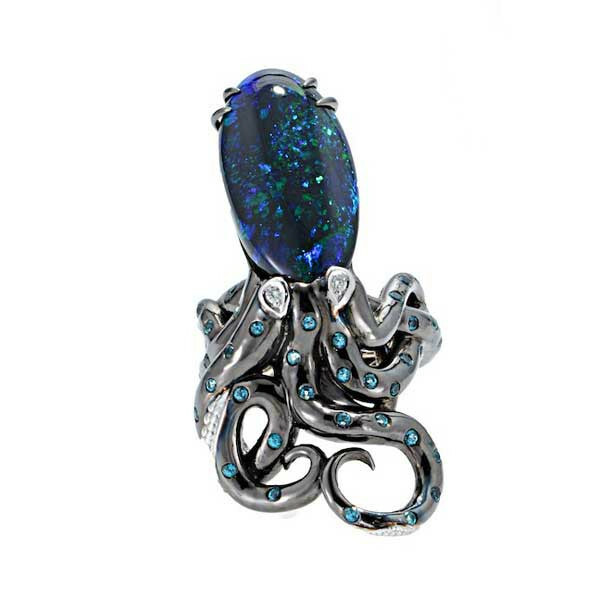 Robert Pelliccia, award-winning jeweler, presents this magnificent octopus ring as part of the See Life collection. 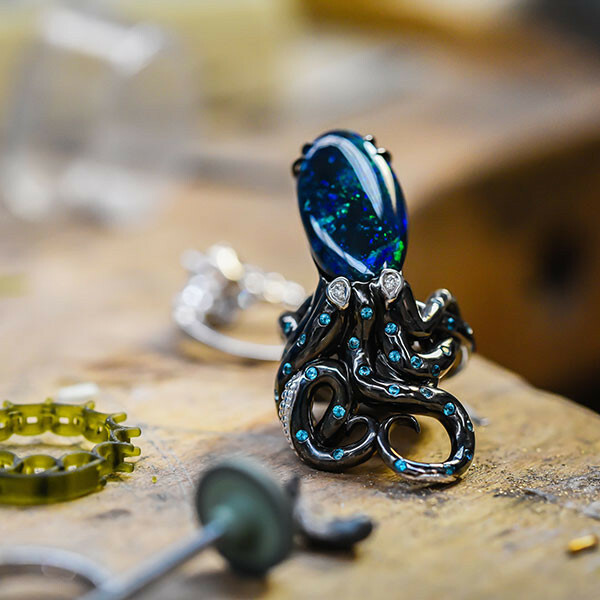 With a colossal opal as the mantle, this beautiful octopus is handcrafted from 18kt white gold with a dark rhodium finish, and glossy white diamonds serve as the octopus's eyes. 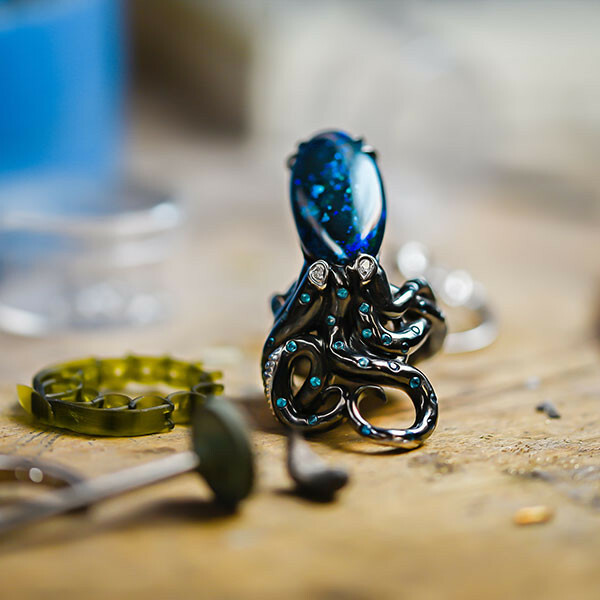 Adding more pizzazz to this piece, sparkling blue topaz stones glide gracefully across the arms of this delightful octopus while touches of 18kt white gold shine through. 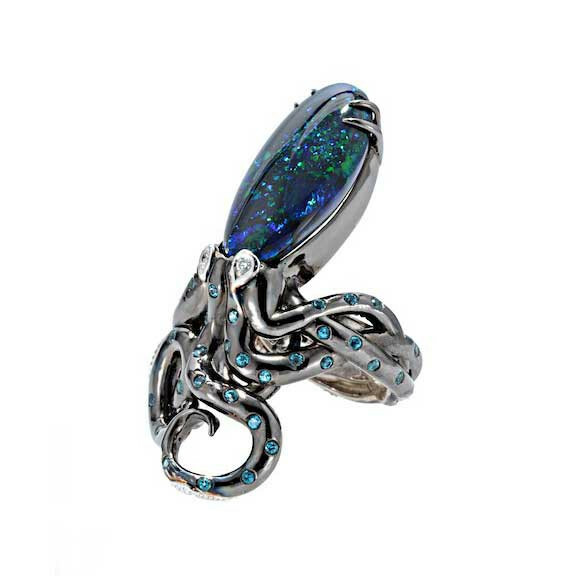 Any ocean afficionado will love the look of this octopus ring from Robert Pelliccia. For more product specifications, please view the additional information tab below.